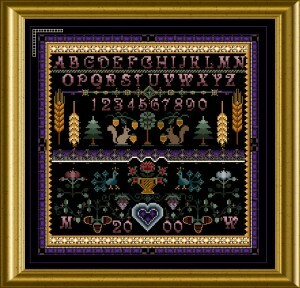 This is a delicate piece in sampler style with lots and lots of beautiful patterns and ornaments. I was inspired by the antique samplers you can admire in museums, each a heirloom of ancient times, stitched by a girl to excercise her needlework skills. 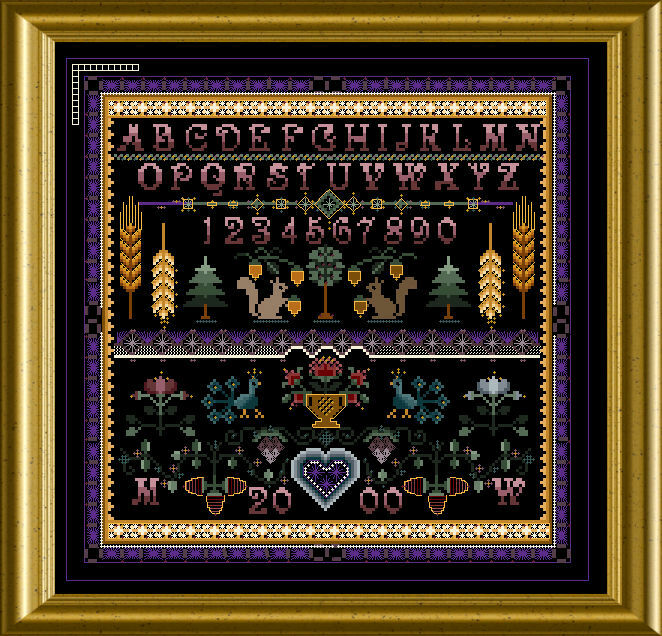 This sampler is a little bit different, as it gives you lots of Special Stitches besides the basic cross stitch – and you will finally embellish it with tiny beads too ! You can personalize it with the incorporated alphabet and make it “yours” !